All pre-orders include the Skills Mini Expansion, adding a new dimension to your map making. 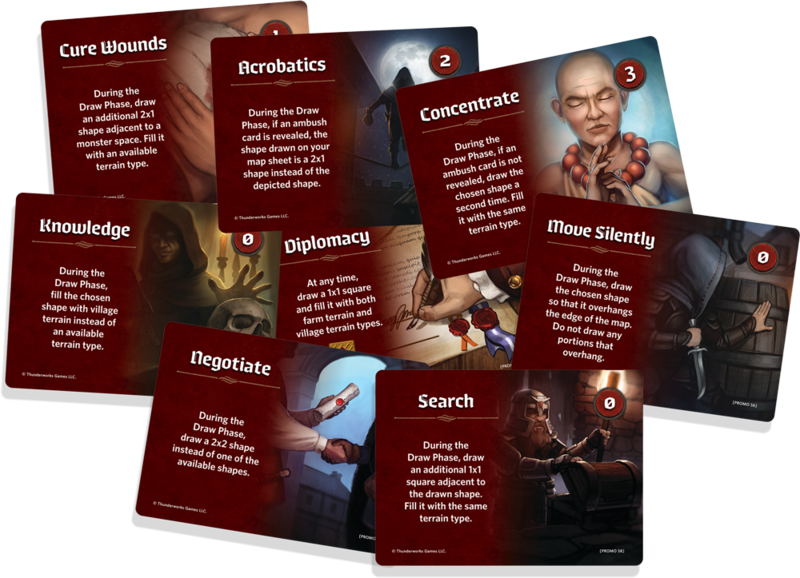 During setup, you will shuffle the eight Skill Cards and deal three of them face up, returning the remainder to the box. Once per season, each player may activate the ability of one of three face up skill cards by paying its cost in coins. Learn more, or select your pre-order choice below!